Bedsores, typically one of the first signs of neglect in nursing homes and other assisted living facilities, result from unacceptable standards of care to our beloved elderly and others with mobility issues caused by age and other conditions. Bedsores, also known as pressure sores, pressure ulcers or decubitus ulcers, are open wounds on your skin. They often occur on the skin covering bony areas and are commonly found on the tailbone, hips, back, ankles, heels, elbows, and buttocks. These sores, caused by a lack of blood flow to an area of the skin resulting from prolonged pressure on one area of the body, can be caused by negligent care at nursing home and other assisted living facilities. Many families rely on the staff at nursing homes and other assisted care facilities to provide proper care to an elderly or disabled family member. Unfortunately, in some nursing homes, residents are neglected. When the staff fails to properly turn or reposition a resident, bedsores develop that could lead to severe and even life threatening conditions. In addition, a resident may also suffer from dehydration or malnutrition when he or she isn’t being turned or repositioned. Bedsores, pressure sores, pressure ulcers and decubitus ulcers can be extremely painful and sometimes even deadly. Most bedsores are avoidable with the proper care and treatment. 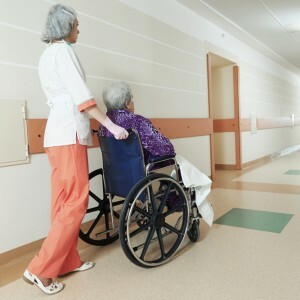 The failure of the nursing home or assisted care facility to provide the proper standard of medical care in general just increases the risk of developing bedsores. Remember, developing bedsores is never the fault of your loved one. Negligence by the nursing home staff is never acceptable. The cost for treating bedsores can be expensive. A bedsore lawsuit can compensate you and your loved one for injuries suffered. In the Kansas City area, the attorneys at Nash & Franciskato are experienced in recovering financial compensation for medical expenses, pain and suffering, disfigurement and emotional trauma. We are your advocates and the voice for your elderly family member, fighting to stop his or her pain and suffering. The attorneys at Nash & Franciskato have experience handling nursing home bedsore lawsuits. We will review the circumstances of your loved one’s treatment and provide guidance on your legal options. Help protect his or her rights. Contact us to get a free, no-obligation review of your case.